Suspension take place after your subscription has expired and you did not make any payment to renew your subscription. You can still continue to use our service to accept payments from your customer but we will not process your settlement. You will receive an email notification as below 15 days after the due date of your subscription charge. The email will state the date of which your account will be terminated. You must make payment before the date stated to avoid termination. 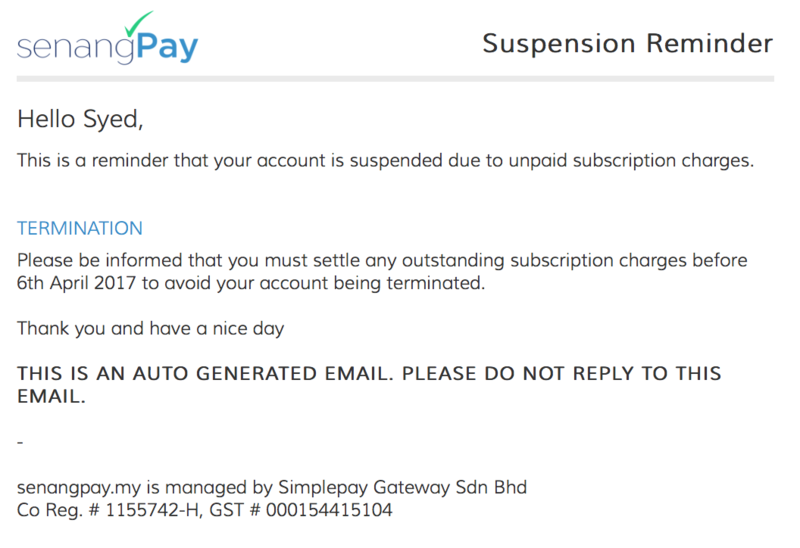 In your senangPay Dashboard you can refer to menu Settings -> Subscription field ‘Valid Until’ for the date of your termination (for suspended merchant only). For active merchants the ‘Valid Until’ refers to the date when you subscription expires. Your account will be terminated 30 days from the date of the sent suspension reminder. Upon termination you will receive email notification as below. You will not be able to use our service. The remaining settlement will be forfeited. If you would like to use our service again, please register a new account. 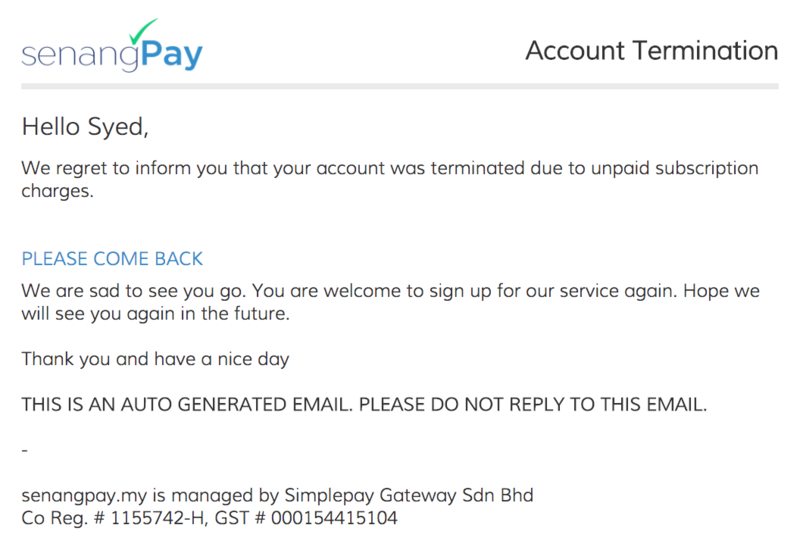 We will process your remaining settlement to your new senangPay account. Please refer here for more information regarding on the terms of settlement payment. To easily understand the suspension and termination process, you can refer to timeline as below.